Taking good care of your contact lenses is the single best way to prevent eye infections. The good news: contact lens care takes only a few minutes as part of your daily routine! To simplify your routine, we’ve broken down how to care for your contacts into five easy steps. Whether you’re putting in your contacts or taking them out, first wash your hands and dry them with a lint-free towel. Be sure to use a mild soap with no lotion, perfume or oil, since these can leave a film on your hands. It’s important to clean your contacts when you take them out at night before placing them in disinfectant. Put a contact in the palm of your hand and add a few drops of a preservative-free saline solution (try Simply Saline or PuriLens). Then, gently rub the contact using your index finger. 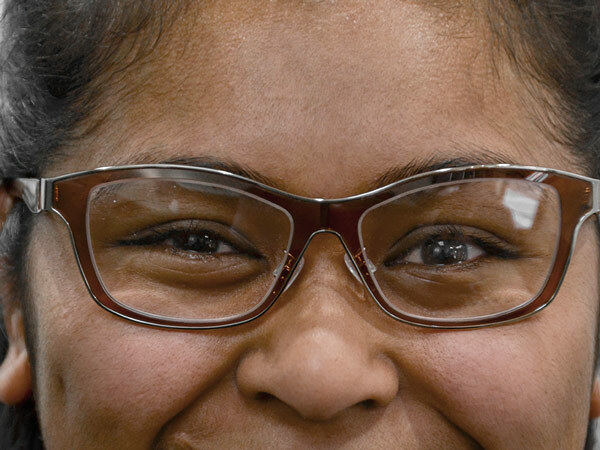 Why clean your lenses this way in addition to using disinfectant? Think of it like washing dishes. Hot water and soap alone can dissolve some grease and food, but it helps to scrub dishes with a sponge or brush as well. Disinfectant removes bacteria and some protein from your lenses, but using saline and your finger first will be more effective for breaking down protein build-ups that can irritate your eyes. Always use the disinfectant recommended by your eye care professional! 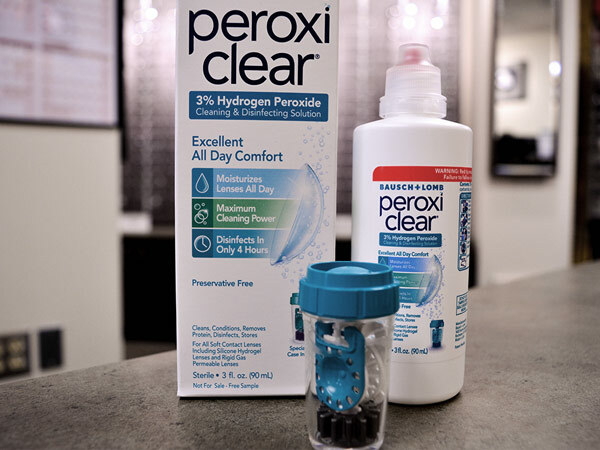 Most optometrists suggest using a peroxide-based disinfectant such as Peroxiclear or Clearcare. These solutions are stronger and more effective than multi-purpose solutions. Be sure to carefully follow the manufacturer’s instructions and avoid getting any of the solution in your eyes. 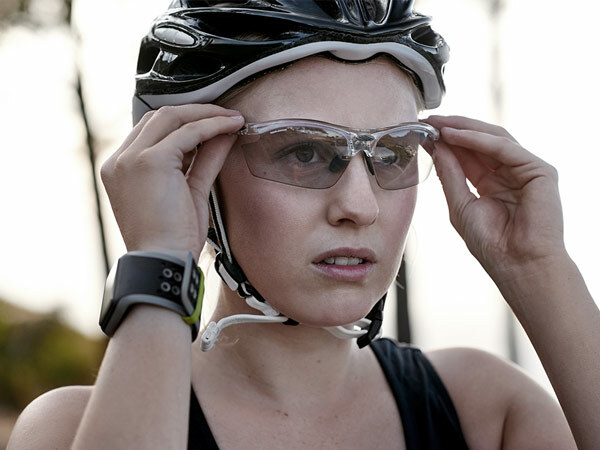 If your lenses have been stored in a case for longer than seven days, you’ll want to disinfect them again. Before putting your contacts in, you can rinse them with your preservative-free saline solution. 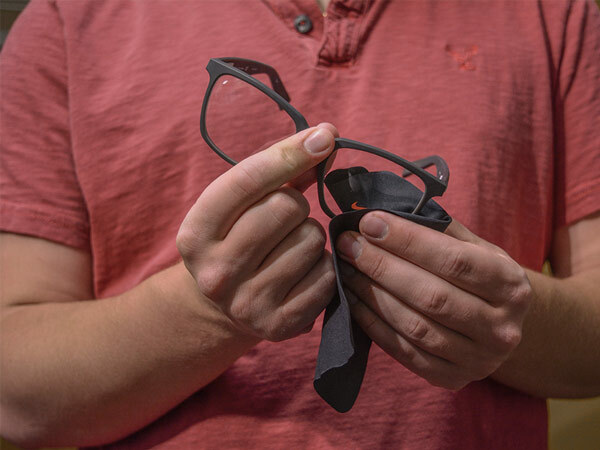 This step can be especially helpful for new contact wearers or anyone who experiences discomfort from disinfectant left behind on the lenses. If you use hairspray, use it before putting in your contacts. And if you wear makeup, wait to apply until after you’ve put in your contacts to avoid getting it on your lenses. After putting your contacts in, empty the disinfecting solution from the case, rinse it with hot water and let it air dry. Wear and replace your contact lenses according to the schedule prescribed by your eye care provider. If you’re not a regular contact wearer, consider getting daily disposable lenses. Make sure to replace your contact case every three months. Most disinfectants come with a new case, which will remind you to replace yours. Following these simple steps will extend the life of your contact lenses and protect your eyes. If you need saline solution or a disinfectant, or just have questions about how to care for your contacts, stop by our vision clinic!